In the 64th in a series of posts on 2014 books entered for The Story Prize, Aurelie Sheehan, author of Demigods on Speedway (University of Arizona Press), details her tangles with plot. Plot. What a nightmare! At least that’s the way it’s felt for much of my writing life. Early attempts at “putting plot into my stories” were like stuffing a turkey into a teacup or inserting pencils and rulers into cake. I never had anything against plot in other people’s writing. I’ve always loved stories strong in plot. A good plot keeps me turning the pages. The prose has to be clean, the characters alive—but these elements alone won’t keep me reading into the wee hours. What needs to kick in is the what-happens-next reflex. Alas, the what-happens-next reflex wasn’t occurring at my own writing desk. There, it wasn’t a reflex at all, more like the sound of electrical wires fritzing out. I comforted myself with proclamations. Writers into plot were like mechanics ginning up outlines stuffed with spy-craft and long-lost, wealthy relatives. But I did worry: Was I the stereotype on the other side of the spectrum, a pajama-clad watcher, forever not engaged with life? I read Jane Austen and began to think plot could be fun, rather than a curse. I realized how profound cause and effect can be—that events and observations did not just hang out in a nether-cloud of time, but were irrevocably shaped by the when of the story. 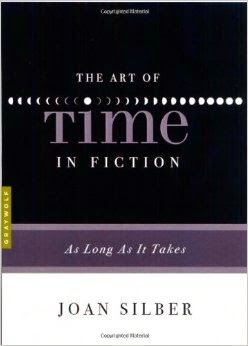 I read Joan Silber on time in fiction (The Art of Time in Fiction). Time in fiction is different than plot in fiction, but they are related. And time felt organic to me in a way plot did not. I decided, to heck with plot anyway. To some extent I decided this. I found ways around it. For instance, I wrote a book where place replaced time—where the characters live near each other and their stories form not a plot but a constellation (in this case, the portrait of a city). I felt the tawdriness of shaping stories, the artifice that had felt artificial, melt away to reveal a kind of beauty. I realized my limitations as a plot person and became a person who plots in her own way. In other words, I redefined plot so I could write one, too. It was a way of finding plot in my own stories. These things helped, and I feel better about plot now, mellower. If the story of me and Plot were to be written, it would be a very gentle narrative, where the girl begins hating Plot, she has a fight or two with Plot and she breaks Plot’s elbow, and Plot breaks her chin, and then eventually they just stop fighting and go into a kind of Tai Chi tea party that lasts until the end of time. Ready, Plot? Come on, now. Ready? Amina Gautier Says: "Remember Who You Were"